The road to financial recovery begins with a single step. 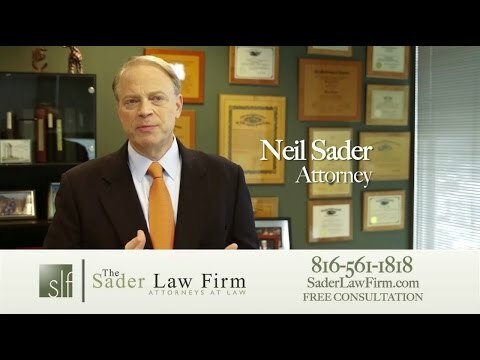 Kansas City bankruptcy lawyer Neil Sader can tell a clear difference in his clients’ moods from when they first enter to his office to after they leave, knowing more about the options they have for managing and discharging their debt. By calling a bankruptcy lawyer, you can begin to put your minds at ease by asking what you can do about out-of-control debts, loans and bills. People are nervous when they call for bankruptcy. It’s the hardest thing in the world to actually get that person to make that first initial phone call. It’s very easy for people to research on the internet, but it’s so important that someone actually pick up the phone and make that first call. Because once you do that, then we can start to explain to you how you’re going to come out of this at the end. We can explain to you what the differences are going to be. How you’re going to be happier, how you’re going to be more stress-free, how you’re actually going to get rid of your debt. One of things I most enjoy about my job is the fact that when clients come to me, I can make their debts go away. People end up being happy with me and with what we do. Even though it’s a sad occurrence generally when someone has the need for a bankruptcy attorney, they’re happy with us. That’s one of the things that I get a lot of self-satisfaction out of. If you make people’s money problems go away, it makes an absolutely huge difference in their lives, a really tangible, real life difference in their lives. That’s what we’re able to do when we start to explain to you the benefits of a bankruptcy. ← How Does a Business File Bankruptcy?